SilverWoods Studio features works by Stephen Silver and Beverly Woods. 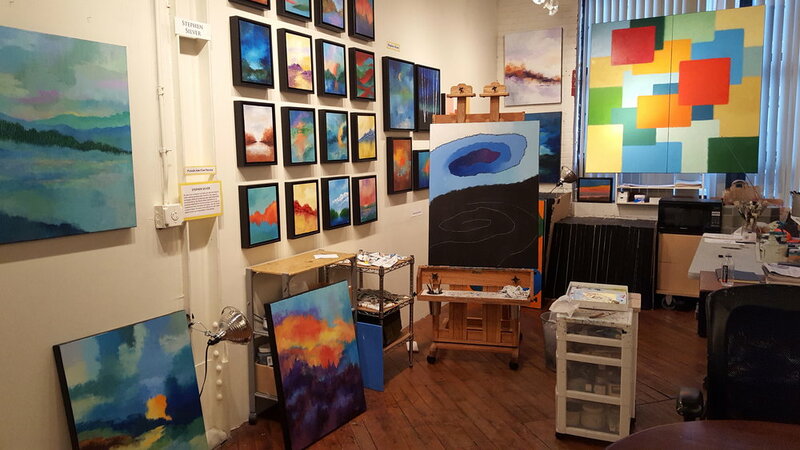 It is located in the heart of the SoWa Art and Design District of Boston, at 450 Harrison Ave, Studio #211. The building contains 15 galleries and over 80 artists studios. Check out the Events page for information about First Fridays, shows the artists are participating in, and dates that SilverWoods Studios will be open to the public. Visitors are always welcome, and the studio is open most week day afternoons. To make an appointment or purchase a work, please go to the contact section for either artist.